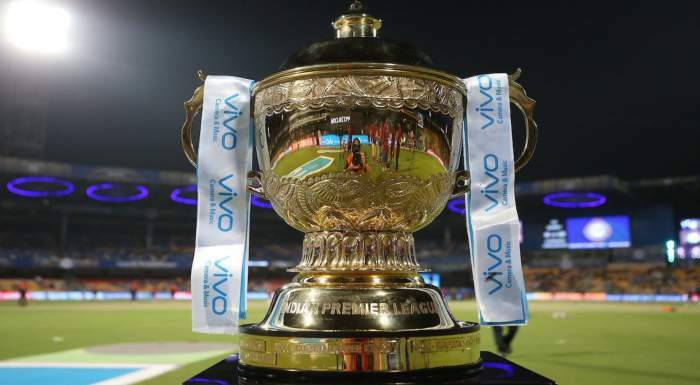 The following are the awards that will be presented during the VIVO IPL 2019. The Man of the Match will be chosen by members of the television commentary team covering the match. Prize Money: Rs 1 Lakh prize money per match, trophy and a VIVO phone. VIVO Perfect Catch of the Match will be awarded by VIVO to the player who takes the best catch in each match as selected by the television commentators. Harrier Super Striker of the Match will be awarded by Harrier to the player who has the highest batting strike rate in a match. To be eligible for the award, the player must have faced a minimum of 10 balls. The most stylish player of the match will be selected by the commentary panel. They will award points to players based on the combination of performance and style (confidence, appearance, stroke play, ability to remain cool/calm under pressure, attitude, etc.). The GameChanger of the match will be selected by the commentary panel. This will be awarded to the player who may have been involved in a game-changing moment. i.e a player who takes a crucial wicket that changes the course of the game, a player who puts on some crucial runs that are the difference between the two teams or a fielder who effects a run out which changes the course of the game. The Orange Cap will be worn while fielding by the batsman who has scored the most runs in the league (including the Playoffs) during the season to date. It is first awarded once each team has played at least one match and then changes hands when another batsman becomes the highest run scorer in the league to date. The Orange Cap is presented to the batsman at the end of the innings in which he achieves this feat (either at one of the flash interviews or at the post-match presentation). In the circumstance where two or more batsmen have scored the same number of runs during the season to date, the Orange Cap will be retained or awarded, as appropriate, to the batsman (of those who are tied) who has the higher strike rate during the season to date. The Purple Cap will be worn while fielding by the bowler who has taken the most wickets in the league (including the Playoffs) during the season to date. It is first awarded once each team has played at least one match and then changes hands when another bowler becomes the highest wicket-taker in the league to date. The Purple Cap is presented to the bowler at the end of the innings in which he achieves this feat (either at one of the flash interviews or at the post-match presentation). In the circumstance where two or more bowlers have taken the same number of wickets during the season to date, the Purple Cap will be retained or awarded, as appropriate, to the bowler (of those who are tied) who has the lowest economy rate during the season to date. Prize Money: Rs 50 Lakh prize money and trophy for grounds that have hosted 7 or more matches and Rs 25 Lakh prize money and trophy for grounds that have hosted less than 7 matches. Did the pitch play the same throughout the match for both innings? Did the pitch have good pace and ball carry? Was the bounce of the pitch consistent? Was the amount of lateral seam movement on offer fair? Was the amount of spin on offer fair (i.e. not excessive)? Overall evaluation of the pitch and outfield. VIVO Perfect Catch of the Season will be awarded by VIVO to the player who takes the best catch of the season as selected by a combination of a public vote on www.iplt20.com and the choice of the television commentators. Prize Money: Trophy and a Harrier SUV. Harrier Super Striker of the Season will be awarded by TATA Motors to the player who has the highest batting strike rate of the season. To be eligible for the award, the player must have played a minimum of 7 matches in the season and faced a minimum of 100 balls. Prize Money: Rs 10 Lakh prize money and trophy. fbb Stylish Player of the Season will be awarded by fbb to the player who is selected by a combination of a public vote on www.iplt20.com and the choice of the television commentators. Prize Money: Rs 10 Lakh prize money & trophy. Dream11 GameChanger of the Season will be awarded by Dream11 to the player who has won the GameChanger of the match award the most number of times. If there is a tie, the commentator’s panel will decide the winner. showing respect to the Umpires. Additional credit will be given for examples of exceptional behaviour in line with the above criteria (for example a fielder signalling that a ball had not been caught cleanly or a batsman walking without waiting for the Umpire’s decision). This will be awarded by BCCI to the leading run scorer of the season (including the Playoffs). In the event of a tie, the Orange Cap will be awarded to the player (of those tied) who scored the most runs during the Playoff matches. If this does not break the tie, the Orange Cap will be awarded to the player (of those with the most runs in Playoff matches) with the highest strike rate over the course of the season. This will be awarded by BCCI to the leading wicket-taker of the season (including the Playoffs). In the event of a tie, the Purple Cap will be awarded to the player (of those tied) who took the most wickets during the Playoff matches. If this does not break the tie, the Purple Cap will be awarded to the player (of those with the most wickets during the Playoff matches) with the lowest economy rate over the course of the season. A cheque and trophy will be awarded by BCCI to the player who has earned the most MVP points during the season (including the Playoff matches). MVP points are earned by hitting fours, sixes, taking wickets, bowling dot balls, taking catches and completing stumping. Mementos are awarded to the four Umpires and the Match Referee who officiate in the Final. Mementos are awarded to members of the playing squad and support staff of the team that loses the Final and Cheque presented to the runner up team captain. 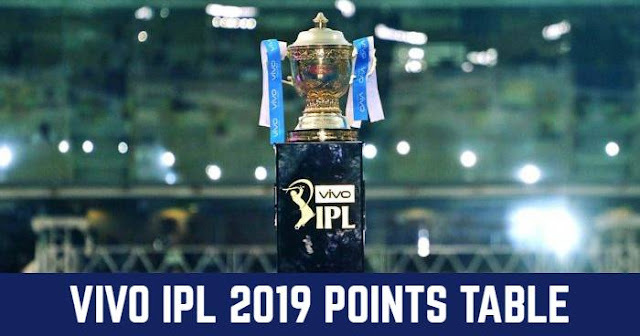 VIVO IPL Trophy will be awarded to the winning team of VIVO IPL 2019. Mementos are awarded to members of the playing squad and support staff of the team that wins the Final. Cheque presented to the winning team captain.